We are the lead agency in an integrated emergency management system for the City of Gloucester. 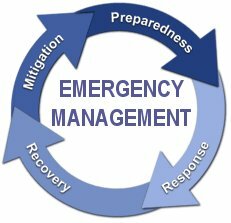 The Emergency Management Director (EMD) role is part of the responsibilities of the Assistant Fire Chief. The Gloucester Fire Department participates in a robust mutual aid system managed by the Essex County Fire Chiefs Association.